Werner & Werner Ltd is a London based building contractor providing various services including loft extensions and loft conversions. We have been fortunate to accomplish many Loft Conversions South London and Loft Conversions Clapham projects and we would love to help with your project. Loft conversions are practical and economically efficient methods of creating extra space in your house. An old and dusty attic, used only for storage, can be transformed into a cozy with beautiful features. Equally - loft extensions can be added to your existing building's structure to create more space and to make fantastic room. Loft conversion or loft extension - either way, the result is always astonishing and the property gains value beyond costs of the project. This is especially true for properties in London. Werner & Werner is a London conversion company with many years of experience and dozens of satisfied customers. 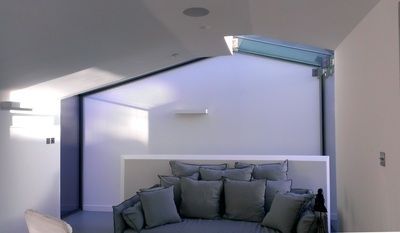 Over the years we have completed many loft conversions in South and East London. We are fortunate to be able to provide a vast array of building services which leads to creation of beautiful and comfortable loft bedroom conversions. 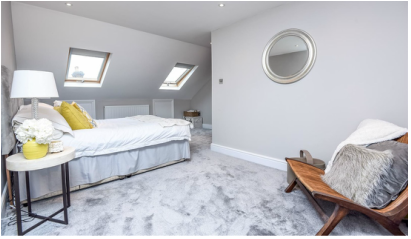 Equally important for us is to be competitive on the market, keep the loft conversion quotes as low as possible, to provide transparent quotation and efficient & effective project management. 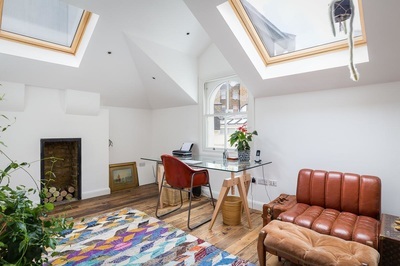 As a loft conversions South London specialist company we can offer complete loft conversion design and build package, from initial no obligation consultation through design, planning, party wall agreements to project management and construction. If you prefer to use your own architect, we are happy to be entrusted with construction work only. 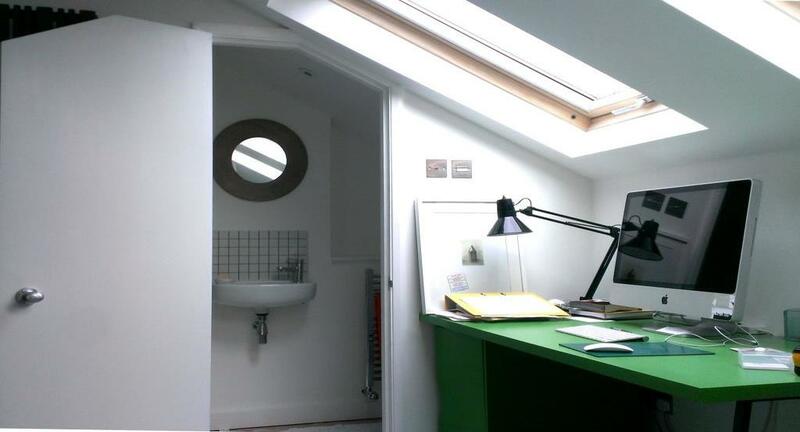 We offer initial, no obligation meeting, to discuss your loft conversion South London project. After gathering all necessary information we will provide you with a quotation for the requested service. Headroom: Very often there is limited headroom space. As a property owner you usually don’t want to compromise lower level height to get higher loft space - you would like to achieve as much as possible headroom on both floors. A loft which, before works, seemed to spacious often, after insulation and floor installation, all of the sudden does not look as big as before. Even though there are certain building regulations that we follow, we use various techniques to maximize headroom and minimize waste of space. Stairs location: Sometimes moving one step after or before a winder allows to gain additional area in loft bedroom conversion. We pay a lot of attention to the staircase planning process. Employing a good architect to your loft conversion South London project is a key. From big questions to be answered like staircase location and settings, en-suite bathroom location, to small custom details - an appropriate architect will have a massive impact on the final result. We will provide you with the best in class loft conversion London architects. We can also deal with your planning application and party wall agreement process. 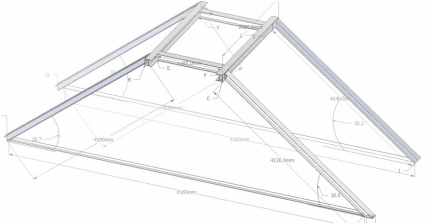 Solid, simple and sufficient but not “over the top” structural frame is a key to every loft conversion London project. Correct structural calculations help to minimize the amount of work needed, lowering a budget and maximizing your loft bedroom conversion. Over the years we have used the same structural engineer. He has 30+ years of experience and great knowledge about every type of property in London. 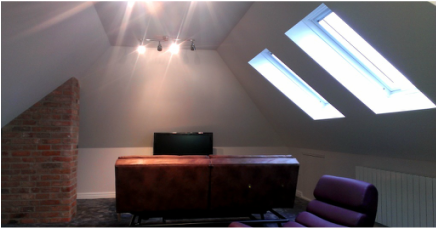 Through the whole loft conversion process we run efficient project management keeping you informed about progress. Building works are overseen ﻿by experienced manager. We pro﻿vide a project plan before starting works and ﻿make sure that we keep milestones and deadlines. We recommend weekly meetings with our clients, onsite, to review progress and discuss issues. 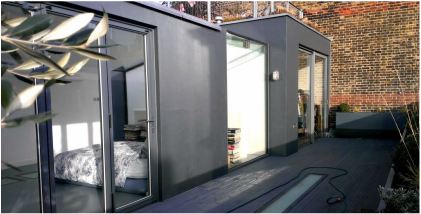 Werner & Werner, South East London conversion company, provides various types of roofs: flat, pitched, warm deck, cold deck. We can cover roof with various finish: all types of slates, tiles, resin, felt, single ply membrane (EPDM). 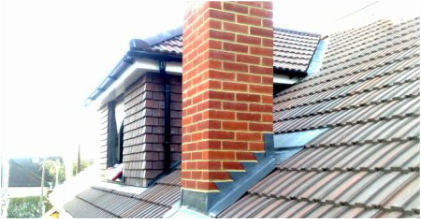 We provide 10 years guarantee to all new roofs. All our lofts have sound structure and high quality finish. We make sure that all building regulations are met and space is used in an efficient manner. We provide 3D CorelDraw drawings for the staircase and discuss all details with a client and a building control inspector. We try to match newel posts and spindles as close as possible to the original flight of stairs. We can provide vast array of staircases’ types, from simple wider soft wood to open thread, oak rounded staircase – all beautifully crafted and meticulously finished. All staircases comply with Approved Document K of the current Building Regulations. Bathroom installations are very often a part of a loft conversion East London project. We create beautiful bathrooms with amazing finishing details. We provide vast array of services including: wet rooms, concealed glass panels, glass doors, recessed lighting and various types of bathroom lighting, under floor heating, single surface concrete walls and floors. For more details please check our Bathrooms page. Insulation work is done in accordance to Approved Document L1 & L1b of the current Building Regulations, and recommendations of the Building Control Inspector. We always search for various solutions to use most appropriate insulation and not lose on space and headroom. Very important factor is to install appropriate acoustic insulation to all: lower level ceiling, partition walls and to the party walls. With the last point we recommend to exceed the norms recommended in Approved Document E of the Building Regulations 2010 Edition. If you plan to start a loft conversion South London or Loft conversion East London project please contact us at your convenience and we will arrange a free consultation meeting and, after gathering required information, we will send no obligation and detailed quote.